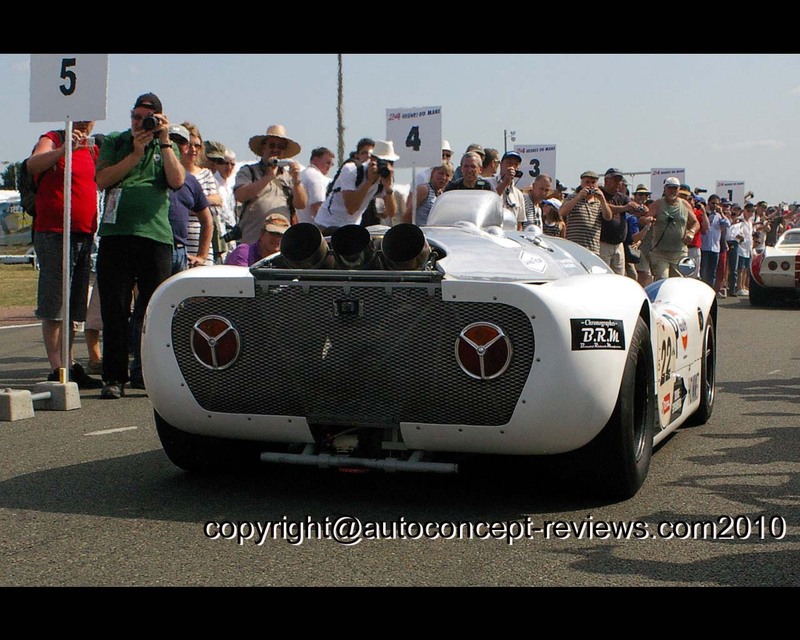 The Howmet TX, for Turbine eXperimental, was completed for the 1968 racing season. Two cars were built with the financial support of Howmet Corporation from New Jersey U.S.A.. Howmet Corporation was manufacturing metal alloys and was producing turbine blades and was interested in getting more business visibility.The project was initiated by racing driver Ray Heppendal who proposed it to Howmet Corporation. The cars were produced by McKee Engineering of Illinois . The gas turbine propelling the rear wheels was supplied by Continental Motors Corporation,from Detroit, manufacturer of aircraft engines. A gas turbine operating principle is more simple than a reciprocating piston engine. There are only three rotating parts not in rubbing contact with their surrounding cases as shown in the above simplified diagram. There are two shafts. The first shaft supports the air compressor and the primary turbine while the second shaft supports the power turbine and transfers the power by gear reduction to the wheels. An electric starter provides assistance by rotating the air compressor for the starting procedure. Compressed air is fed to a combustion chamber where it is mixed with kerozene fuel and ignited. Hot and high pressure gases are generated and sent to the primary turbine before reaching the power turbine. The primary turbine rotates with the air compressor. 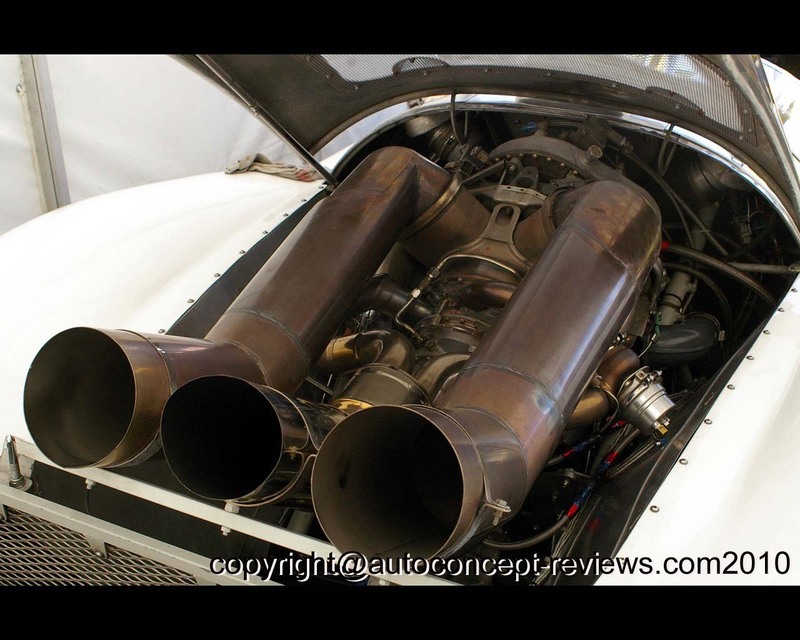 Hot gases are then sent to the exhaust system. In the case of the Howmet TX, there are two ways to adjust the power transferred to the wheels. The first method is the conventional approach with a gas turbine and operates with the variation of the fuel quantity injected in the combustion chamber. This conventional method, however, is known for a response time unwanted with racing cars. 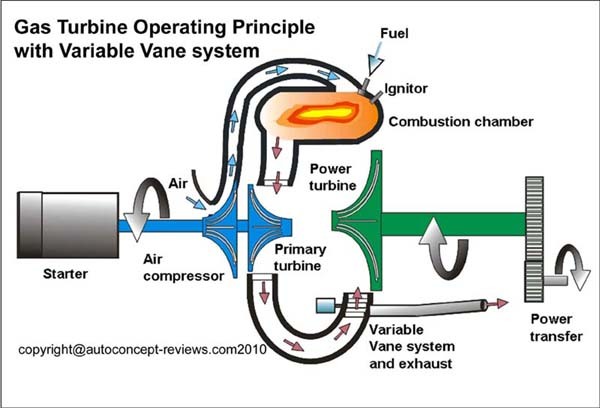 A second method utilizes a variable vane system on the hot gases admitted to the power turbine. This system also called waste-gate, allows to adjust the quantity of hot gases sent to the power turbine while sending the remaining portion directly to an exhaust pipe. This second method allows to keep the combustion chamber at full power and adjust the power sent to the wheels. The third exhaust pipe at the rear is dedicated to this waste-gate. The Howmet TX gas turbine rated at an equivalent 3.000cc produced nearly 400 hp at 55.000 rpm. The power transfer system contains a gear reduction that set the proper rotation to the wheels. The Howmet TX has a multi-tubular space frame and aluminium made closed body. 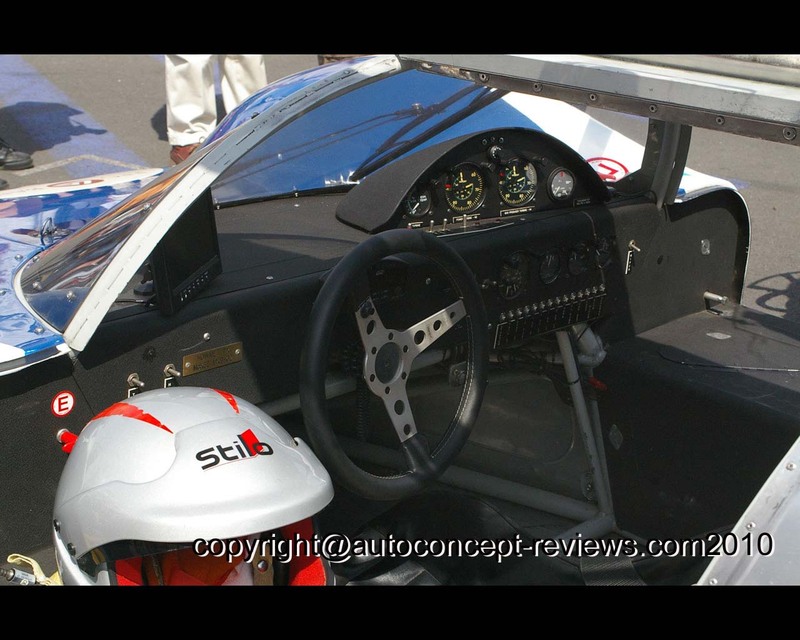 The Howmet Turbine has run in an experimental class of the Group 6 category of the time, both in the United States and in Europe Sports Prototype endurance races. Only two races were won in the United States while in other races it collected different positions or was forced to retire . 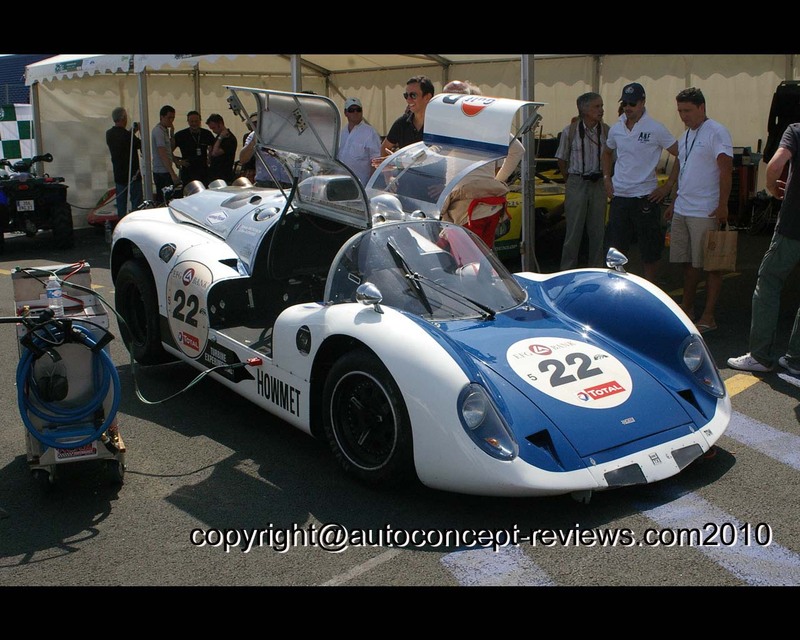 This model was presented by Xavier Micheron from France at the 2010 Classic Le Mans event.